The Red Lobster Secret Menu is one of the least popular secret menus out there. But only because it’s not very well known. These hidden items just might revolutionize your dining experience. At the very least they will give you a few new options for the next time you visit Red Lobster. 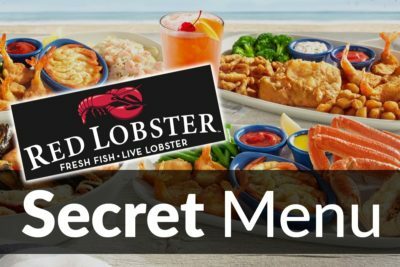 What is on the Red Lobster Secret Menu? 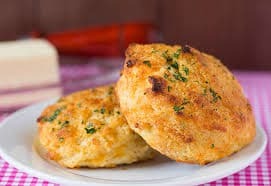 These delectable treats are a favorite of Red Lobster fans everywhere, not unlike the Olive Garden breadsticks. But what you might not know is that you can get more. So, don’t fret because you ate the last crumb, just ask your server for more and they will keep on bringing them until you’re full and content. And if you like things a litter cheesier (and don’t we all) then just ask them to load-up on the cheddar and to pack an extra punch into your Red Lobster Cheddar Biscuits. 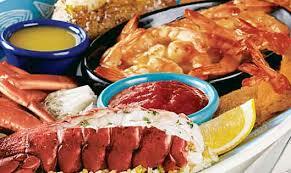 Ever get a special at Red Lobster, and really wish you could get it again, only to discover that it is long gone? As fans of the Papa John’s Cinnapie, a long-gone traditional menu item that we discussed on the Papa John’s secret menu, we know your pain. But at Red Lobster, it’s not a problem. Just ask your server, and often, they’re able to offer you the same special, even though it’s no longer advertised. Knowledge is power, so enjoy all of your favorite specials time and time again. If you can’t eat gluten, whether because of Celiac disease or for general health reasons, that shouldn’t get in the way of your dining habits. And at Red Lobster, it doesn’t need to. Many don’t realize it, but gluten can be avoided relatively easily in a lot of meals just by making a few modifications. Ask your server if they can make them for you, and hopefully your favorite meal can remain a favorite without gluten! If you love lobster but have had enough steamed lobster to last a lifetime, then there are other options available. Very few diners realize it, but you can get your lobster grilled as well, adding some extra charred flavor to this delicious light meat. Grilled lobster is a decadent and completely possible option; just ask your server! This option isn’t always available, but when it is, you’re in for a treat. 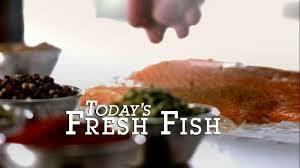 If you aren’t seeing anything on the menu that catches your eye, consider asking your server if they have any fresh fish. Often, you could get an entree that you don’t see on the menu, such as your favorite salmon or halibut. It’ll be costly as fish on demand isn’t cheap, but it’s completely worth it. Give it a try next time you go and you won’t be disappointed. Onion Strings are a common topping on entrees at Red Lobster, and customers love them. 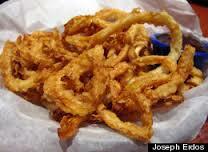 But for those who’d rather have the topping than the entree, there is the Onion Strings Appetizer. Just ask your server if you can get the onion strings as an appetizer. And preferably, ask for a side cup with peach bourbon BBQ sauce. You’ll know why when it is served and you take your first bite. This Red Lobster secret menu item is exactly what it sounds like. 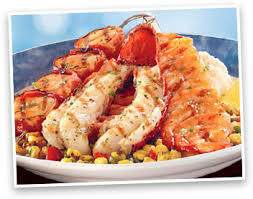 On the Red Lobster Nutrition Guide we discussed how healthy lobster, fish and other seafood can be, and how loading-up on butter cancels that out. Well, with this option you can skip the butter and keep the nutrient packed protein. 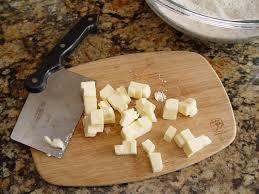 Red Lobster has the option to cut butter from just about any meal you order on the menu. Instead, they will cook your lobster in a healthy alternative like olive oil. Which, as we discussed on our Olive Garden nutrition page, is one of the healthiest things you can consume. Just ask your server and they’ll take care of it for you.